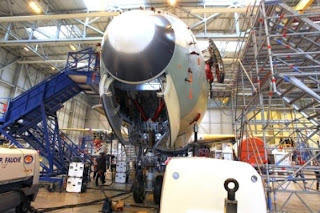 There are new pictures of the MSN1 in the FAL, seems to be during it's stay in the C63 hangar. They have been published in an Italian web named Libero. Activity in the cockpit is hard, working on the last fittings. Based on the article "Avete mai visto l'assemblaggio di un Aribus? Eccolo..." published in Libero. Hi blogjfa. 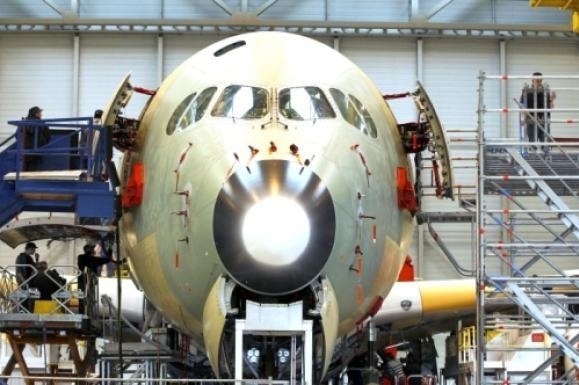 I have already seen a photo of the MSN1 and the MSN3 in the same hangar, one close to the other. The MSN1 with engines but not fully painted yet. I suppose the picture will be published in hours or days. Thank you for the feedback. 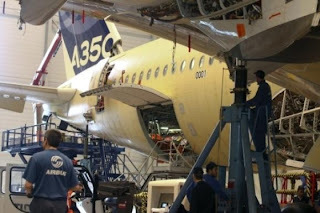 It seems Airbus is waiting something to publish the picture. What? A date for the roll-out ceremony? The return to the air of the 787?